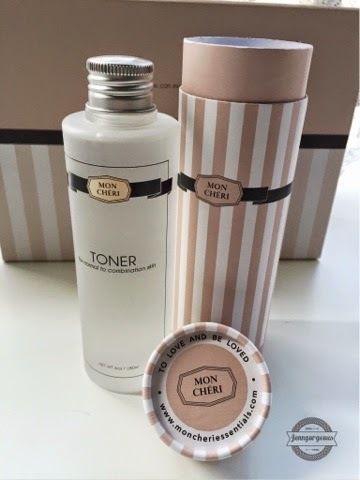 Hello beautiful, Today I'm going to share my review on a new skincare brand called Mon Chéri. 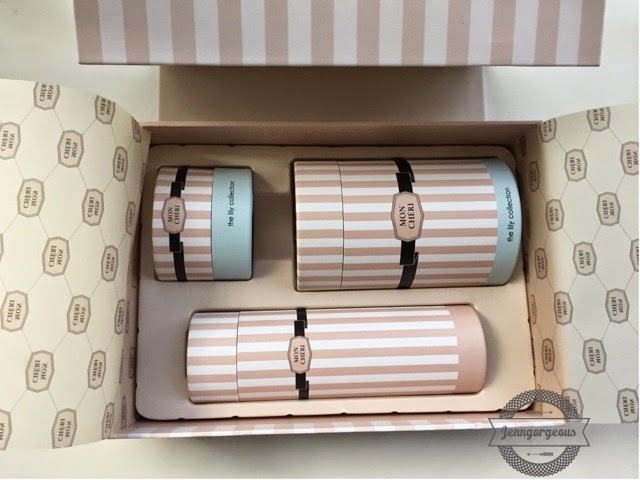 Last month, I received Mon Chéri "normal and combination" basic skincare set and it is their latest collection- Le Fleur de Lis( lily collection). Their basic skincare comes with a cleanser, toner and moisturiser. The key ingredient in lily collection is white lily which has excellent moisturising and regenerating properties to hydrate, sooth and soften skin. It is selling for Rm280. 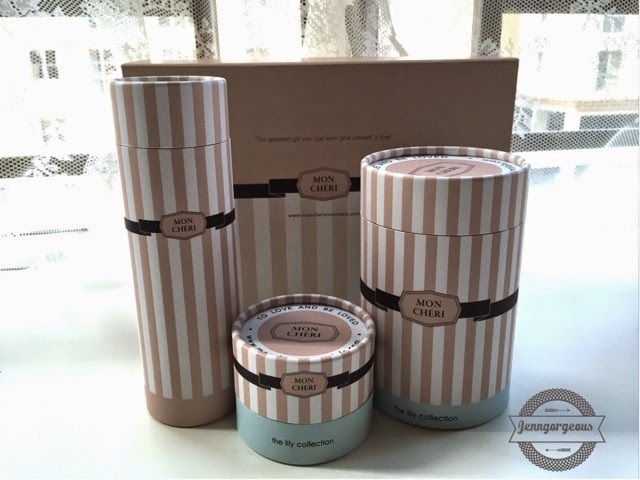 This is the box packaging for Mon Chéri White Lily Normal to Combination skincare set. It come with this beautiful hard case box with a magnetic snap that you can reuse it as an organised box. 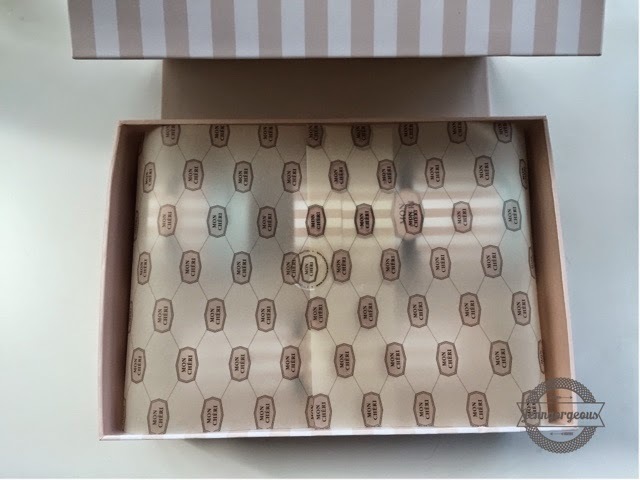 When you open up the box, it come with wrapper, they packed the product in such beautiful packaging, it really make me excited before I even try it out. They do put effort on making the product looks very pretty! Are you ready to see the individual box packaging ? Tadaa.. Check it out ! What do you think ? I really love the packaging, the packaging looks expensive and very attracting. It is also a hard case box, so you can reuse it to store anything you like. It can be a good storage for jewelries or travels size makeup brush. From left is the Gentle Cleanser, Toner, and Moisturiser. The product is in a plastic container. The brand logo and all the information is printed on the container. So let's get started with my review. 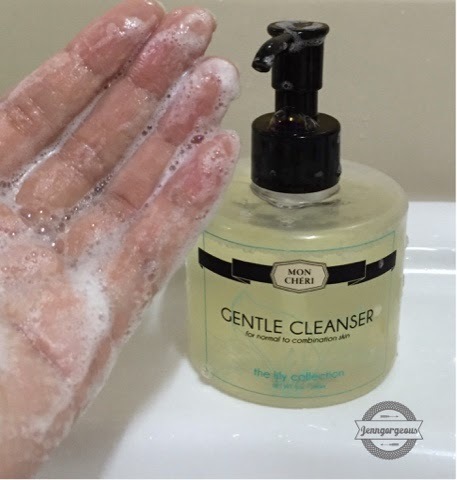 Gentle Cleanser ( Normal and combination skin) 180ml RM80 This is the Gentle Cleanser for normal to combination skin. It is enriched with collagen and botanical extracts. It can remove dirts, oil, and other impurities from the skin. It also claimed that it can help to improve the overall skin appearance, texture and firmness. Con: - contain fragrance but still acceptable since it is a rinse-off product( the word fragrance appear on the ingredient list, it represent undisclosed various scent chemicals) Overall, this cleanser doesn't over drying my skin. Although it contains fragrance but as for rinse-off product the cause irritation is much lesser unless you have very sensitive skin. The texture of the product is watery gel. 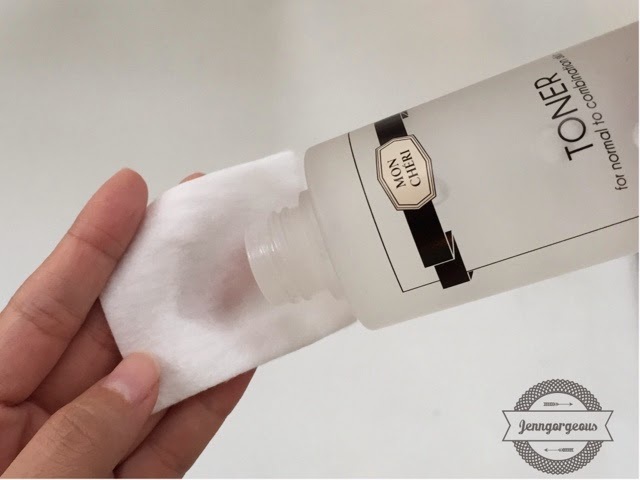 This cleanser doesn't foam up too much and it is only suitable only for normal use, which means it doesn't take off your make up. When you work on it, it doesn't give you thick bubble. It doesn't have strong scent but just right and gives you much like spa experience. My skin is soft and smooth after cleansing. You will love it if you looking for a gentle cleanser that doesn't give you a skin tight feeling or super clean feeling after cleanse. It comes with a safety cap, so you don't have to worry leakage during shipment. I like that they put the cleanser in a pump container, it is easier to use. This is the Toner for normal and combination skin. It contains herbal blends that claimed to help remove impurities and refine pores after cleansing. It also helps in preventing breakouts, leaving the skin smooth, supple and soft. - Although contain alcohol, but my skin doesn't seem drying or over burning. - contain alcohol denat "Alcohol harms your skin’s protective barrier, triggers free-radical damage, makes oily skin and redness worse, and is best described as “pro-aging"
Overall, first impression- I don't like it because it contains alcohol. But after used for weeks, my skin didn't react to any redness or sensitive or drying towards this product. I did feel a little tingling and burning sensation after every used. And also a little bit of stickiness on my skin. And I think for the price of RM96, this is an expensive toner. This moisturiser contains botanical ingredients with several moisturising agents, anti oxidants and vitamins. 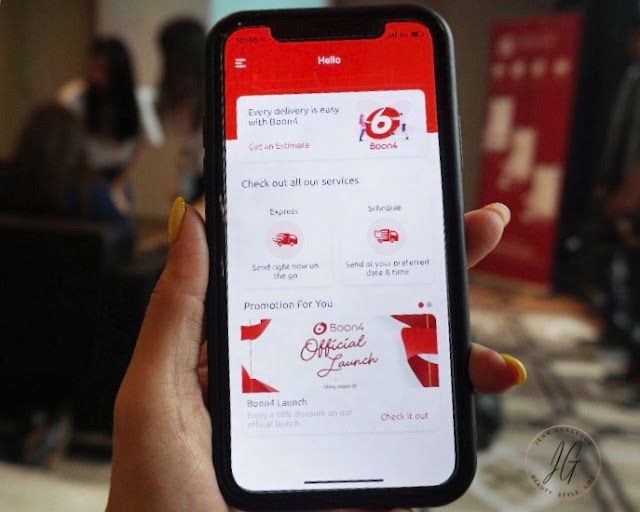 It claimed to help in maintaining the skin's suppleness, increasing moisture level and at th same time repairing the skin's cell tissue, while preventing anti-agin skin conditions. It is nourished with vitamins and agents to leave the skin feeling smooth and hydrated. 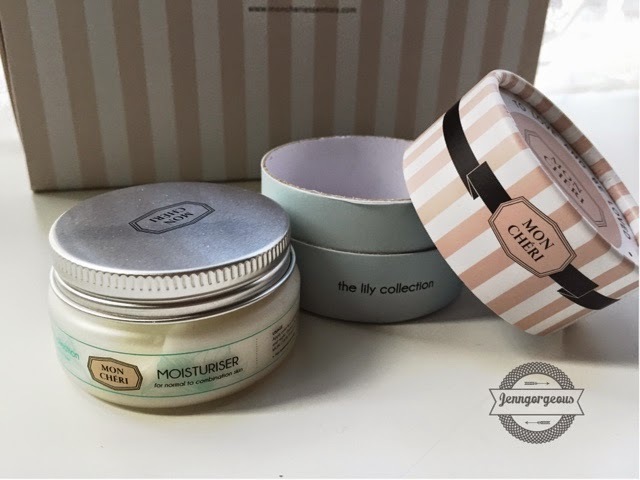 Overall, I like this moisturiser because it doesn't make me feel greasy or oily after apply. The texture of the product look like white glue, but it easy to work on the skin and quickly absorbing. It smell really relaxing. I felt a little tingling sensation after applying it on my skin it might because of the lactic acid. You will love it if you looking for fast absorbing and non greasy as well as nice scent of moisturiser that is suitable for normal and combination skin. It also contain Geranium oil that can balance oily and dry skin by balancing the production of sebum. This is a brand from Malaysia but the products is formulated in French. Mon Chéri is a skincare line that encourages people to cherish their inner beauty and outer beauty, to be comfortable in their own skin and to be confident in parading their natural beauty. 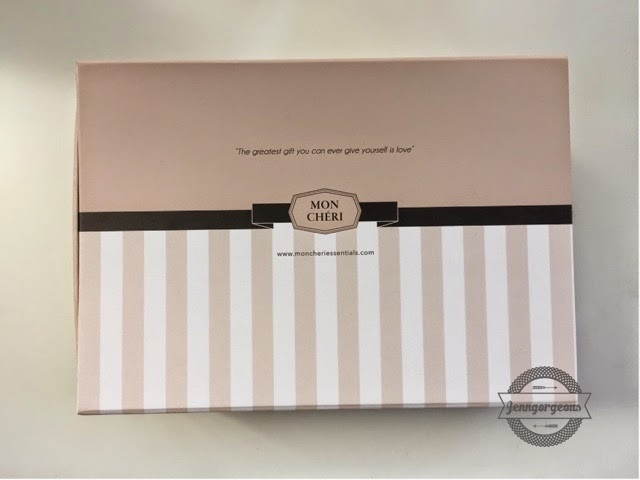 Mon Chéri product line consist of basic skincare for different types of skin, makeup remover, sun protection cream, lip balm, Aloe vera gel and lightener. Mon Chéri price range is from Rm22.80 -Rm280. You can purchase their product only through their website www.moncherieessential.com. Disclaimer: Product was sent to me for my 100% honest review.